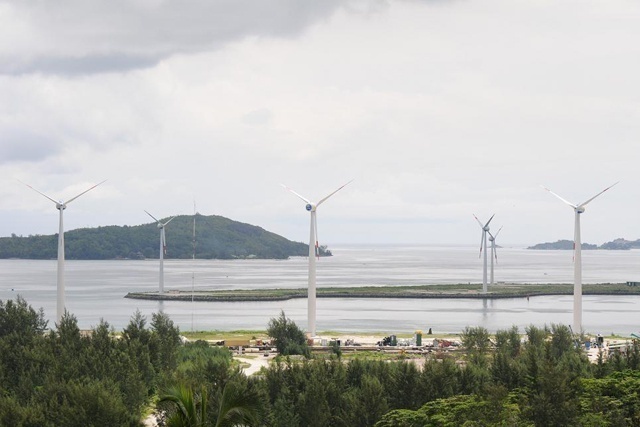 (Seychelles News Agency) - A first draft of a proposed policy on energy efficiency in Seychelles with clearer guidelines on how to provide at least 15 percent of the island nation's energy needs from renewable sources by 2030 was presented in a two-day workshop. “Drafting the first-ever energy efficiency policy is a start in the right direction. It is important for us to know how we can use clean energy that will make the Seychelles economy less dependent on fossil fuel to produce electricity,” said Marguerite. Seychelles is also planning to install Africa’s first utility-scale Floating Solar Photovoltaic (PV) system on the lagoon at Le Rocher, in the district of Les Mamelles. “Basically, if we look at hotels, they use a lot of energy through air-conditioning. Therefore, we also need to look closely at tourism figures to give us an idea of our energy consumption in the future,” he said. “Often time we are looking at complicated solutions when we need simple measures such as building houses with proper insulation and roofing that is more solar panel friendly,” said Andre Jean-Louis, a participant at the workshop.